GoLift for Premier Oil > PTC - Well head, Gaslift, and Chemical injection for improved well performance and integrity. 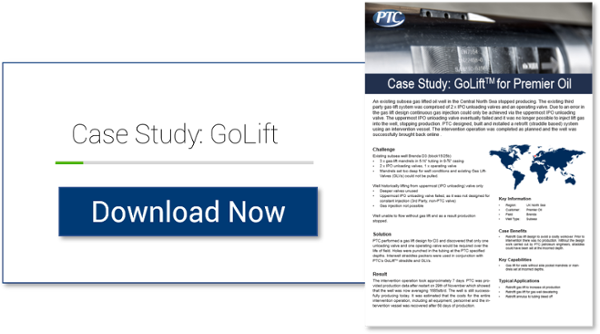 Retrofit Gas lift design to avoid a costly workover. Prior to intervention there was no production. Without the design work carried out by PTC petroleum engineers, straddles could have been set at the incorrect depth. into the well, stopping production.